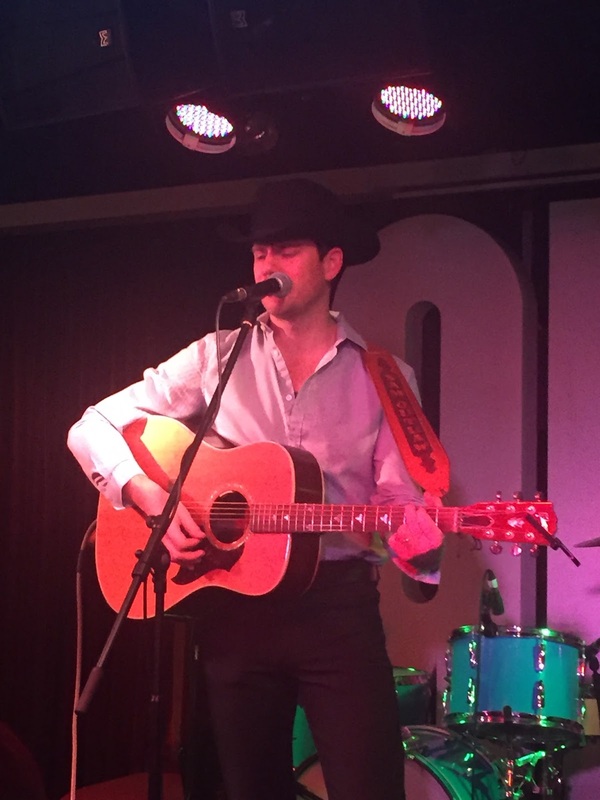 Heads have been turned in the UK over the last couple of months as the name and music of Sam Outlaw has begun to appear. Hailing from Los Angeles and preaching the virtues of the classic California country sound, Sam has now firmly landed over here with the eventual album release and a couple of tours to promote it. ANGELENO has been out in the US since last summer and with the eye of its distributor Thirty Tigers very much on the European market, the inevitable UK release appeared in mid-January just ahead of Sam’s visit in support of Aaron Watson. Rave reviews and radio play has accompanied the emergence of this album, a record successful so far in spanning the breadth of country music appeal. Mixing the Latino feel of music from the City of Angels and the laid back West Coast country/folk sound, ANGELENO is brimming with catchy tunes exploring many facets of life associated with country music. Lashings of steel, often dressed in horns, strings and keys, echo right across the dozen tracks ensuring that the discerned ear is sumptuously rewarded throughout. Having Ry Cooder at the production helm was a bonus and the record has laid the foundations for what has the potential to be a prosperous career for Sam. Of course, any left of centre country artist with the surname Outlaw has one segment of success in place and Sam was quick to point out at a recent show that it is no fake. Although his mother’s maiden name has creatively been adopted, the real talent behind Sam Outlaw – the artist - is the nous for quality song writing, an acute ear for a tune and the cool persona to sell the package. All these were in evidence when Sam recently played Birmingham as Aaron Watson’s opening act and trebly packaged for listening pleasure within the contents of this debut album. Track after track fall into the impressive category starting off with the splendid Latino/country hybrid opener ‘Who Do You Think You Are?’ and concluding a stunning forty-odd minutes later with the foot tapper ‘Hole in My Heart’. It may be clichéd and inevitable but it is too tempting to describe ‘I’m Not Jealous’ as Gram singing Hank’s ‘Cold Cold Heart’, but what’s there not to like about that analogy. Sam’s song writing probably peaks at the mid-point when he adopts the role of a drunk (well it is country music) and pleads ‘Jesus Take the Wheel (And Drive Me to a Bar)’, a lot more tongue in cheek than Carrie Underwood’s namesake song minus the brackets a decade ago. ‘Ghost Train’ has been the chosen track to be syphoned off for promotional purposes and the accompanying video has been successful in growing Sam’s online presence. The title piece ‘Angeleno’ is another prime effort worthy of top track contention with its strong chorus structure and another tip to the border sound which infiltrates Southern Californian music. One of the players on the album is guitarist Danny Garcia who accompanied Sam on his recent UK dates and contributes well to the Latino mix. ‘Country Love Song’ is another number to move the listener as Sam slows things down with this ode to the perils of a long distance romance. The ubiquitous relationship theme also surfaces on ‘Keep it Interesting’, one of many songs from the album to get a live airing on the recent tour. The good news is that Sam is due back in this country in April and it is keenly noted that this time he has been booked by venues/promoters more interested in the Americana side of country music. This is where Sam’s style more comfortably fits in 2016, but that certainly, and rightly so, doesn’t preclude praise from anyone interested in country music. This next tour will see Sam headlining, so in addition to the songs from ANGELENO we may get a peek into the future as this album will be nearly approaching its first anniversary since initial release. However let’s not get ahead of ourselves, and celebrate the dawning of a record to get excited with this side of the Atlantic. 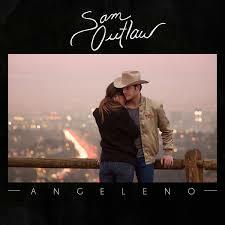 In 2015 we were introduced to the similar but more quirky style of Cale Tyson, and now less than twelve months later we are being spoiled with the emergence of the smooth operator known as Sam Outlaw. Without any hesitation ANGELENO gets a full recommendation here and unravels itself as a record to go the full distance.